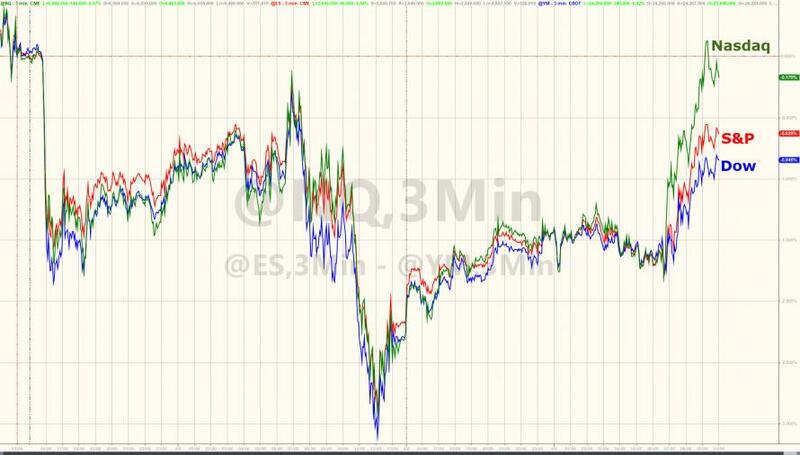 While the broad US equity market is rallying today - spiking in panic at the US cash market open - Nasdaq is the standout with Nasdaq 100 futures soaring enough to erase all Friday's fears. So the question is - why? Aside from the standard 'high beta' chatter? Trade war tensions easing is the narrative of the day - though what signs of that seems to be the fact that the to and fro of tariffs has not escalated today... yet. 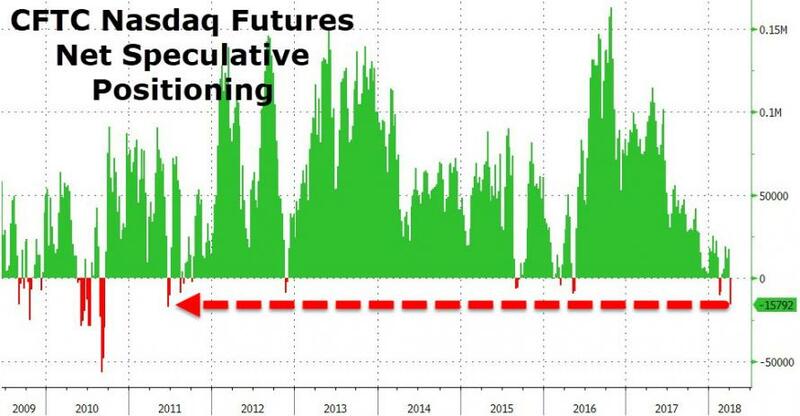 Having been exposed on Friday, today's open was the perfect opportunity therefore for the machines to run stops and spark a major short-squeeze. So, don't read too much into this ramp as being fundamentally value-driven, or a sign of easing tensions.